Born and brought up in Mumbai, Swarupa Chavan did her schooling from Mary Immaculate Girls High School and graduated from Jai Hind College. She is a Science graduate with majors in Physics. She pursued Computer Programming, Packaging Technology and MBA in Materials. She currently works as Deputy General Manager with a leading Agro Chemical Manufacturing Company.Reading has been her passion since childhood. She finally decided to give wings to her dream—writing a book. Her first novel, To Err is Human, tags her creativity on life for a young woman in Mumbai. Swarupa: It is an awesome feeling. It is like a dream come true. To actually see my book being published is incredible and exciting and at the same time quite encouraging to know that my name is added in the field of literature in which renowned and distinguished authors have made a landmark with their amazing work. 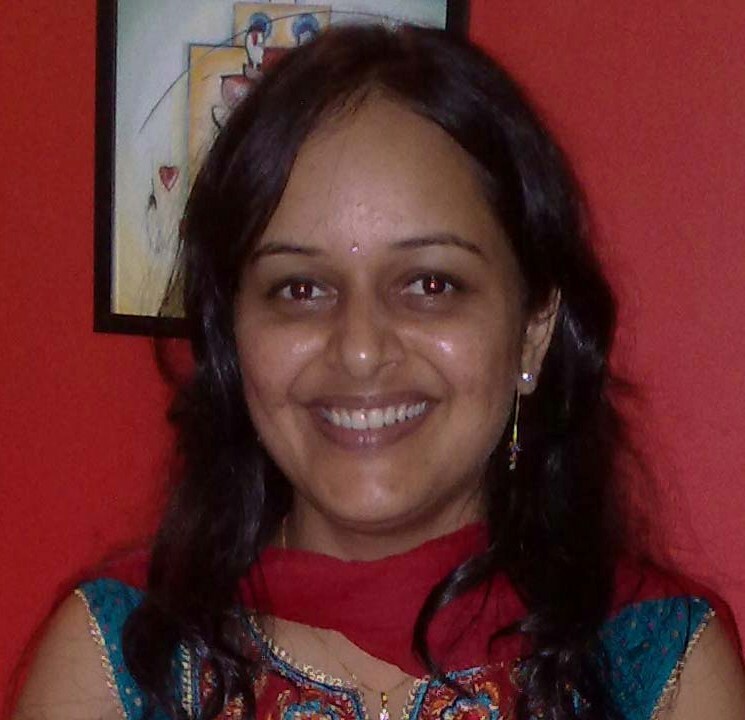 Swarupa: I have always loved writing and used to write small articles for my school magazines. Eventually I could not dedicate enough time to pursue this hobby and it was sent on the back seat. Guess the right time came when I actually penned my first novel. • Being a debut author, what hardships you had to face while writing as well as getting your book published? Swarupa: Although it might sound easy now, but the journey was not that smooth for me. Once I started writing I found it difficult to dedicate enough time for my book and writing being a creative work, when I did find the time I would experience mind blocks on several occasions, and the story just didn’t move ahead with the required speed. Finally when the novel was ready, finding a publisher posed a new challenge for me. Especially since I was new to this field. I sent my work to publishers and waited patiently for their response. It was indeed a stroke of good luck when Lead start acknowledged and appreciated my work. I was heartened to know that the renowned publisher found my book good enough to be published. • How did you come up with the title of the book? Swarupa: It all started off when I created the character of Malini who is a simple girl with big dreams who comes to Mumbai to fulfil them. Malini is compassionate, hilarious, sensitive, emotional… and not to forget she is a magnet for errors, attracting disasters all along. Malini takes the reader through all sorts of drama as she unfolds one hilarious incident after another. Yet we find ourselves relating to it at some point or the other. It allows us to catch a glimpse of her true self and realize that it is a normal human tendency to commit such errors. The title was apt for the character and storyline. Swarupa: I was born and brought-up in Mumbai. A Science graduate with a specialization in Physics I completed Packaging Technology followed by an MBA in Materials. I now work with a leading Agro Chemical Manufacturing Company as a Deputy General Manager. I love travelling and exploring new places. A nature lover by heart I enjoy spending time amidst Mother Nature. I am a huge movie buff and love watching Bollywood movies. I pursued my passion for writing and penned my debut novel ‘To Err is Human’. It is already getting popular among the young masses and have been reviewed as a promising upcoming young talent. My book review also appeared in The Hindu newspaper. Swarupa: I loved the experience of writing, it brought me immense joy and a sense of satisfaction. Yes I would continue to write though maybe not full time currently. It is too early for me to decide along these lines. Swarupa: Well you would be aware of the cut throat competition in the literary world where every day there are so many new authors entering the field and publishing their work. And then there are the established and well known authors whose works are loved across the nation and worldwide. So getting myself and my work recognized is a tough job. I know I have to put in lots of hard work and keep writing good stuff to attract audience. The response has been quite positive and encouraging till now and people have liked the plot which is quite simple yet it’s the reality with which they easily relate to. They loved the confused and clumsy Malini as against the stereo typed perfect heroine, who is human enough to make mistakes. 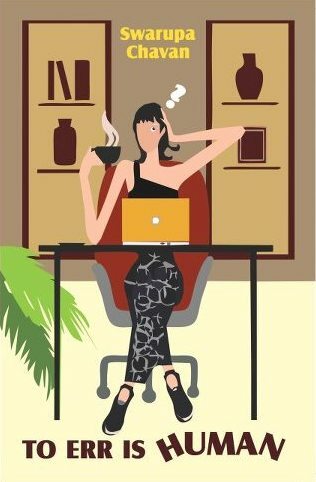 • Are you working on a second novel? Swarupa: Yes I have started working on my second novel. I am currently plotting the story line and building the characters. I shall share the storyline with my readers very soon. Swarupa: I can name a long string of them and they have all made a great contribution to Indian Literature. To name a few I think authors like Amitav Ghosh , Kiran Desai, Arundhati Roy , Salman Rushdie , Deepak Chopra, Robin Sharma , Chetan Bhagat have their own unique style and a great fan following. Swarupa: I would say all aspiring authors should evolve with their own writing style and believe in it. It’s the originality with which the readers connect. As for readers I guess they should give the new authors a chance to express themselves. Willingness to accept new authors is highly encouraging. I think the subject is common to all – to err is human. Best of luck! I have read this book and found to be gripping and funny a Light and easy going story. Kudos to the writer to come up with her First book with such fine story telling technique. Best luck for the Future. Terrific! To be an author at such a young age and to get published by a prestigious publishing house is a huge achievement. Heartiest Congratulations! You will inspire many, Swarupa. Great achievement Swarupa ! Wish you all the best for upcoming novel ! let it be another hit ! Sounds very interesting and just so very “our” kind (readers’ kind). Shall soon grab a copy and get hooked.